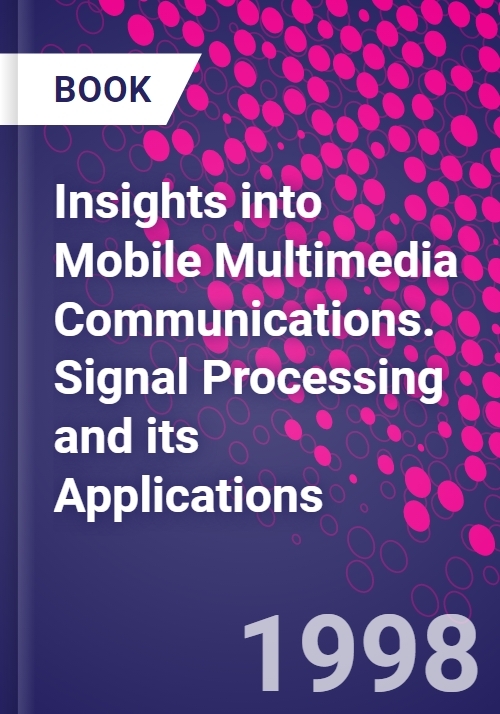 Personal multimedia communication is the major growth area in engineering today with many people across the world in industry and academia working on the design of future generations of mobile radio systems and source coding methods. Before multimedia applications can be truly successful in mobile environments, many technologically demanding problems must be resolved. In order to provide the user with a suitable end-to-end service for multimedia applications, complex systems, interfaces and coding schemes need to be developed. In mobile multimedia, the air interface bandwidth requirements are likely to be dominated by the needs of one key service: video. Even with today's most aggressive compression algorithms, the needs of video exceed the bandwidth available with existing mobile connections. Although available bandwidth will increase, with the introduction of UMTS and local services based on wireless LANs (such as HiperLan), it is clear that advances in radio technology and air interface design must go hand in hand with innovations in source and channel coding. The purpose of this book is to present an integrated view of advanced radio systems, network architectures and source coding that demonstrates the state-of-the-art as well as future directions in this rapidly developing field. The book acts as a repository of ideas, design examples, and advanced techniques for research staff, practicing engineers, and technical managers alike. Since the contributions are drawn from international experts in both academia and industry, the book should be attractive to both practicing professional engineers and researchers worldwide. David Bull is Professor of Signal Processing and Deputy Director of the Centre for Communications Research at the University of Bristol, UK. He leads the Image Communications Group in the Centre for Communications Research at Bristol and is also Deputy Directory of the CCR. Prior to taking up his post at Bristol in 1992 he was an Electronic Systems Engineer at Rolls Royce and subsequently a University Lecturer at The University of Wales. He has worked widely in the fields of 1 and 2-D signal processing and has published over 150 papers in these areas. He has received two premium awards for his research papers and holds several patents. He is currently a Director of the Virtual Centre of Excellence in Digital Broadcasting and Multimedia Technology and is also a member of the Programme Management Committee for the EPSRC/DTI LINK program in Broadcast Technology. Nishan Canagarajah, Ph.D., has been a lecturer in Digital Signal Processing at Bristol since March 1994. Prior to this he was employed as a Research Assistant at Bristol investigating DSP aspects of mobile radio receivers. He has a BA in engineering and a Ph.D., both from the University of Cambridge. His current research interests include image and video coding, speech processing, non-linear filtering techniques and the application of signal processing to medical electronics. He has worked closely with several companies in the fields of signal processing and image coding and has published numerous journal and conference papers in these areas. Dr. Canagarajah is actively involved in the UK VCE in Digital Broadcasting and Multimedia Technology. He is a member of IEE Professional Group E5 (Signal Processing). Andrew Nix received his Ph.D. in Digital Communications from Bristol and has been a lecturer in Communication Systems since 1994. He has been a member of the ETSI RES10 group since 1994, participating in drafting Europe's first High Performance Radio LAN standard (HIPERLAN). He is active in the UK VCE in Mobile Communication Systems. His recent research has involved the development of new indoor and outdoor 'deterministic' propagation models for analyzing the performance of proposed radio designs. He has worked closely with several companies and has published over 50 Journal and Conference papers in these areas. He is an Associate Editor of IEEE transactions on Communications.